This was the first time that I have tasted a Gruner Veltliner Deutscher Sekt and I hope that I get to repeat this again and soon! Schloss Vaux has had a long sparkling history, since the late 1800’s. 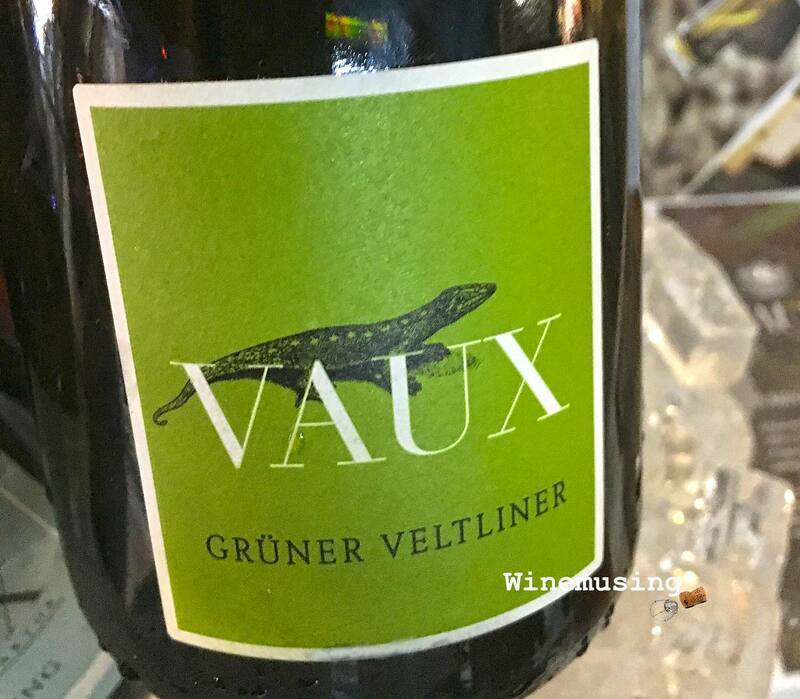 Today, the producer specialises in exquisite sparkling wines not just from Pinot Noir and Riesling but also Pinot Blanc, there is one with Sauvignon Blanc and then there is this Gru V beauty. The Gruner is redolent with stonefruit so ripe that it is like biting into a fresh peach with a Rheingau reality check of crisp apple, lemon and slatey minerality. Being made in the traditional method with over 30 months resting on lees before disgorgement, it has been imbued with spiced creamy, biscuit overtones. Particularly on the long and lingering finish. It has not had any additonal sugar added after this second ferment and sits at less than 1 g/L of residual sugar. With so much ripe fruit, you do not miss that sugar addition at all. This is not just a fizz for celebration, but for any occasion when you might want an intense treat that while it is generous, it displays balance and texture. However, at its heart is always elegance.